The Iranian foreign minister says no country dares to engage in a war with Iran, and that Tehran’s influence and power will do no one harm. Insecurity is no longer a problem limited to the region. Terrorists enjoying financial backing from their sponsors have expanded their terror activities to Paris and Berlin much in the same way that they have already done in Islamabad and Baghdad. With that in mind, Iran is now in a special position, given the domestic, regional and international circumstances. 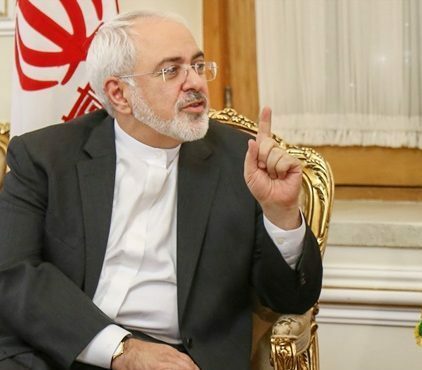 In such conditions, Iran’s Foreign Minister Mohammad Javad Zarif says the Islamic Republic will continue to exercise self-restraint in the face of certain efforts to stoke tension in the region. At the beginning of President Rouhani’s term, we announced that our priority is to boost ties with neighbouring countries. We have always tried to ameliorate our relations with regional nations. 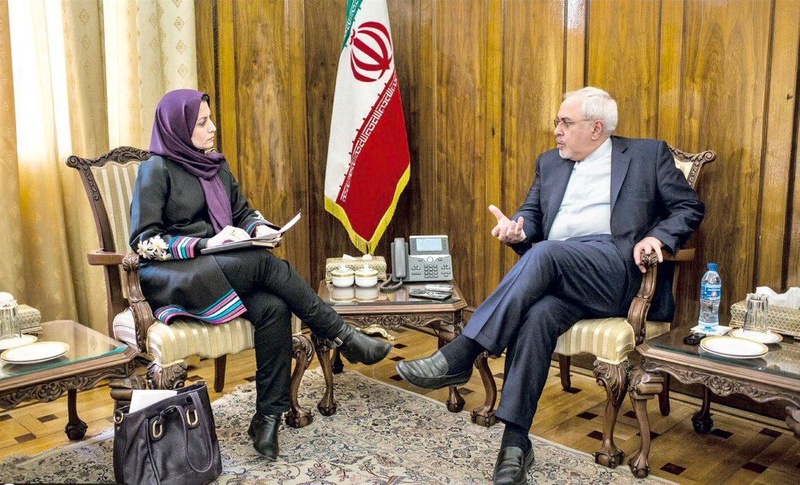 Tehran believes the region needs cooperation and convergence as well as security. We attach great importance to the security of the whole region as well as that of every single country in the Middle East. Years before Iran and the P5+1 countries reached a nuclear agreement, certain regional players sought to put Tehran’s nuclear case in a security context. The ballyhoo raised and crises created over Iran’s nuclear program had created the impression that Iran was a security threat. They used this perception as a cover for their destructive policies in support of extremism and certain measures to stoke insecurity in regional countries. After Iran’s nuclear issue was settled, they had no smokescreen any longer to hide their policies. That made them worried, and now they are pursuing other destructive policies. If Saudi Arabia is not interested in working toward detente, be it due to its domestic issues or regional and international matters, Iran will not succeed in easing tension no matter how hard it tries. Still, we will continue to exercise self-restraint vis-à-vis efforts made by the other side to fuel tension. Iran needn’t respond to just any attempt aimed at fuelling tension in the region. We are the most powerful country in the region, and we can increase our influence in the Middle East as a stabilising force. Iran has pursued this policy all along, and everybody admits that Iran’s regional clout is increasing. We have told our neighbours time and again that our influence and power will be to no one’s detriment; rather, Iran’s power is a source of stability in the Middle East. Our neighbours know well that whenever one of them has faced the threat of extremism and terrorism, Iran has rushed to the help of victims regardless of their ethnicity or religion. We were the first country to condemn the Iraqi invasion of Kuwait even before the [Persian] Gulf Cooperation Council did. We were the first country to help Iraqi people and to express solidarity with Turkey on the night of the failed coup against Ankara. We are basically against coups and extremism. We oppose acts of extremism against any country, even Saudi Arabia and the UAE. The cost of ensuring security in Iran will be higher if the region suffers from insecurity. The more insecurity, the more the cost of providing security. Thanks to God Almighty, the Armed Forces, the intelligence apparatus and security institutions, Iran enjoys the highest degree of security in the region. Recently, Moscow has increased weapons sales to GCC member states, especially Saudi Arabia. Latest figures suggest Iran has the least amount of arms imports among regional states. We are not that much dependent on foreign countries in order to meet our defence needs. We mostly rely on domestically manufactured military hardware. We rely on deterrence driven by popular support. No country dares to get engaged in military confrontation with Iran. We are not worried because we are in possession of military equipment and hardware and rely on popular resistance. Of course, we have always reminded the international community, including those who have kicked up a fuss over Tehran’s defence program, that Iran will never launch aggression against any country. This year’s Munich security conference was held in an atmosphere different from that of previous years. The European Union is in its hardest political situation in recent decades. The convergence process in the continent has stopped and a wave of opposition to countries’ membership in the union has emerged. Britain decided to break away from the EU, and anti-EU movements have taken shape in other countries such as Greece, Spain, Italy, France and the Netherlands. In such circumstances, Trump believes the existence of a chaotic Europe will be to the benefit of America. Some analysts also believe Iran will benefit more from having bilateral relations with European countries than having relations with the EU as a whole. All in all, we have differences of opinion with the EU on some issues, but the Union has played a positive role in certain areas such as the negotiations over Iran’s nuclear program.